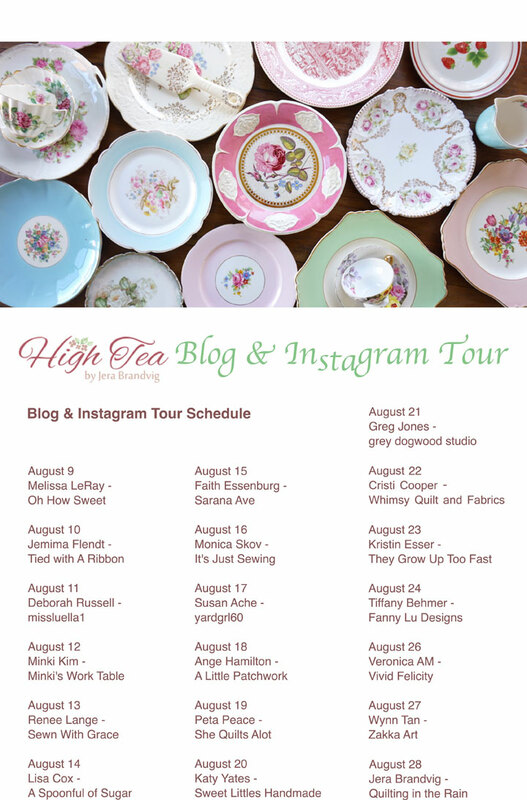 Below is a recap of my Week One Guests of the High Tea Party/Blog-Instagram tour. 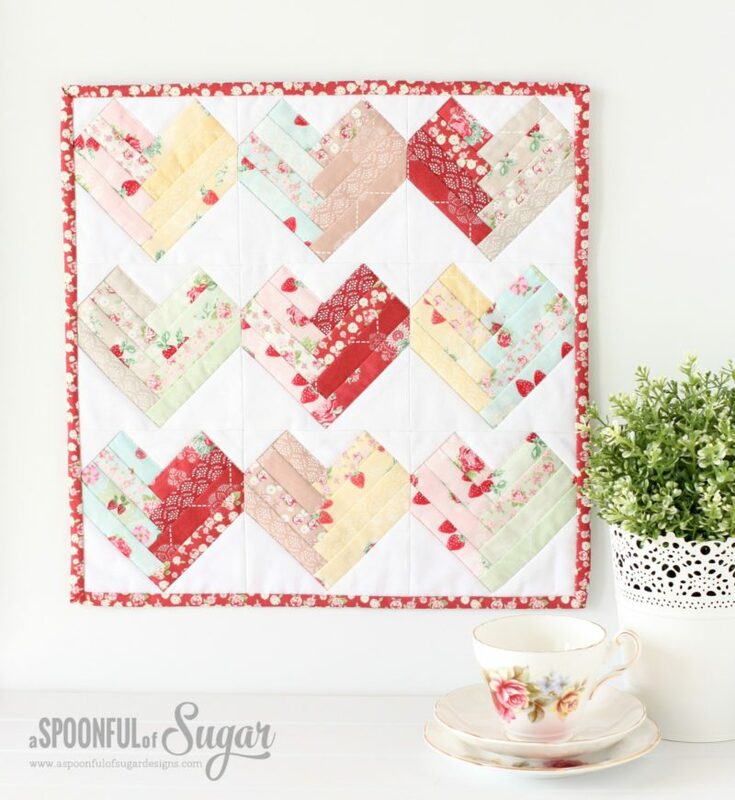 Please scroll down to see images of the beautiful projects they made using my new High Tea Collection, which debuted this August. 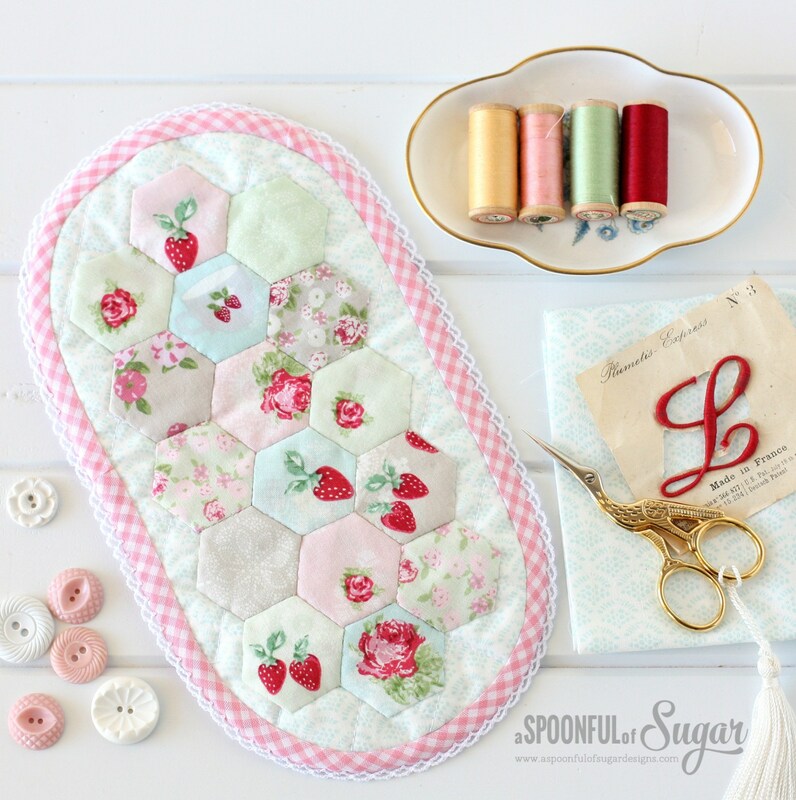 8/9 – Melissa LeRay of Oh How Sweet Co kicked my tour off by posting the beautiful hexies above. 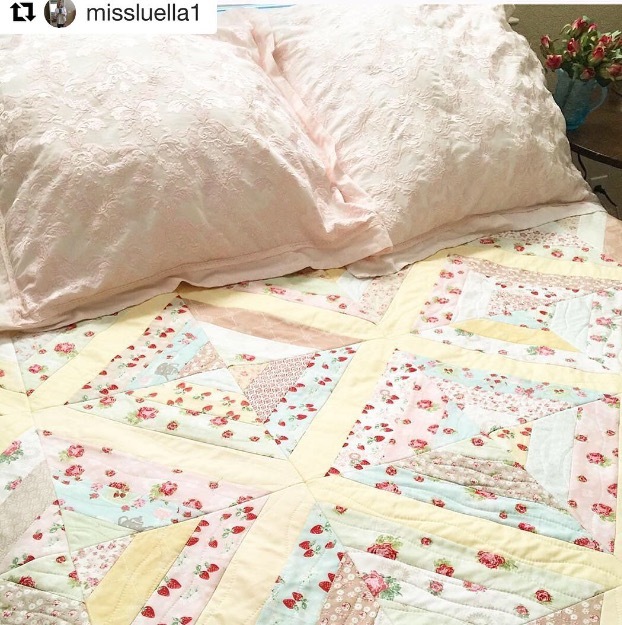 Deborah Russell of @missluella1 took the gorgeous photo above, and made the strippy quilt (below) using a QAYG pattern from my book, Quilt As-You-Go Made Modern. 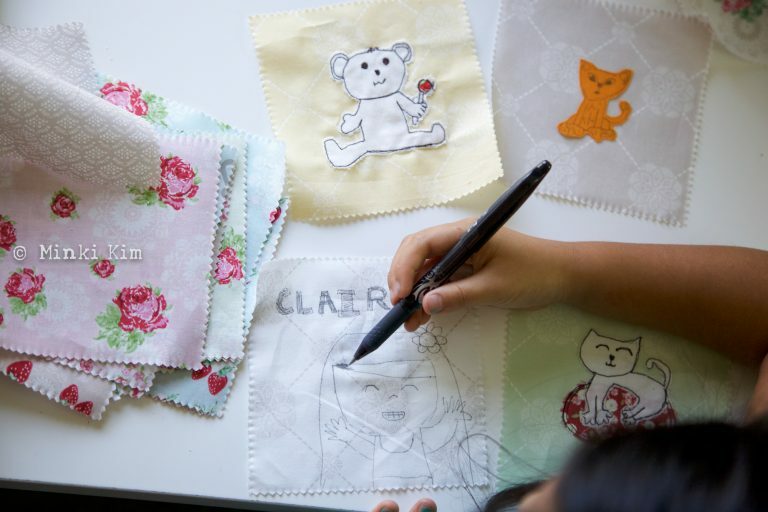 She took the drawings that her daughter made…. 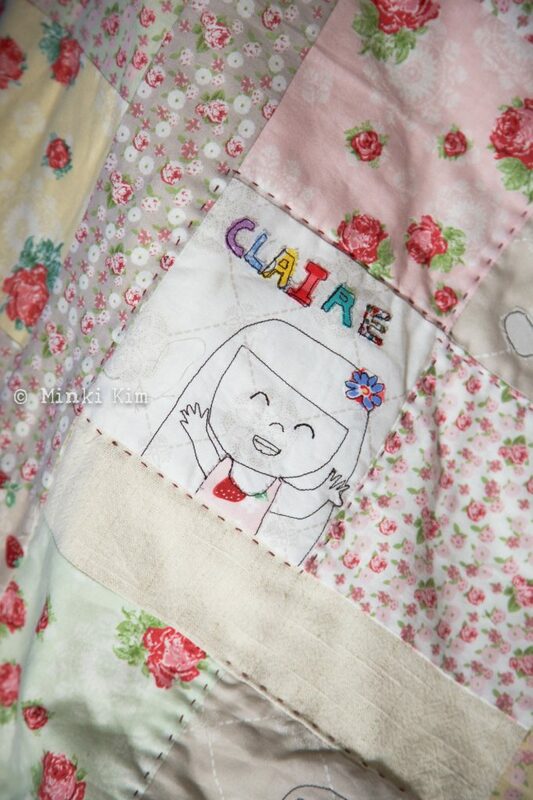 …made it into a quilt! 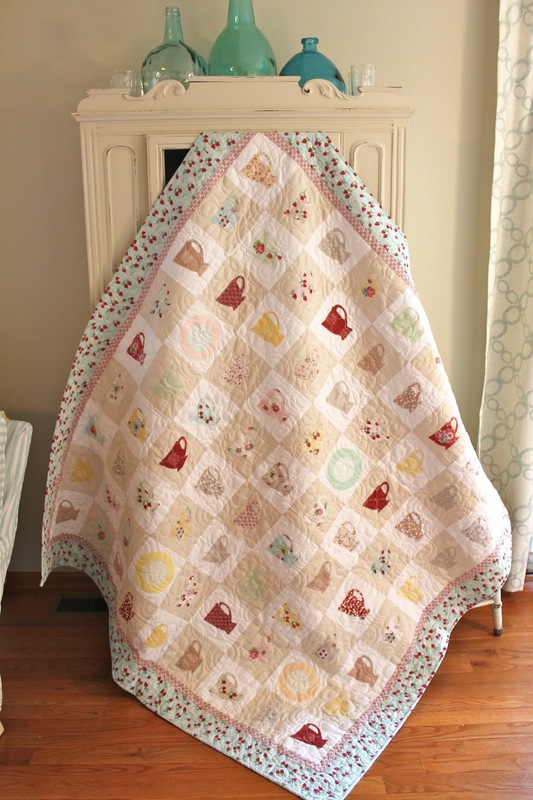 Isn’t this the perfect heirloom quilt? 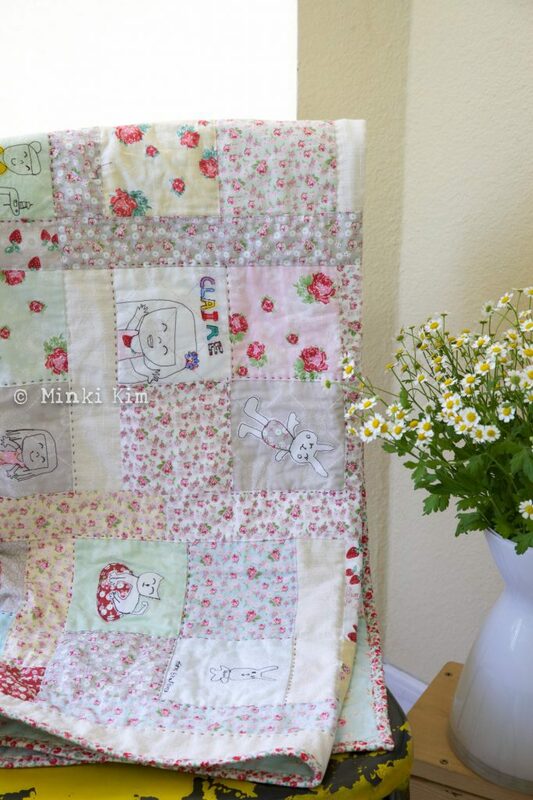 I am honored that Minki chose my fabrics for her daughter’s quilt. 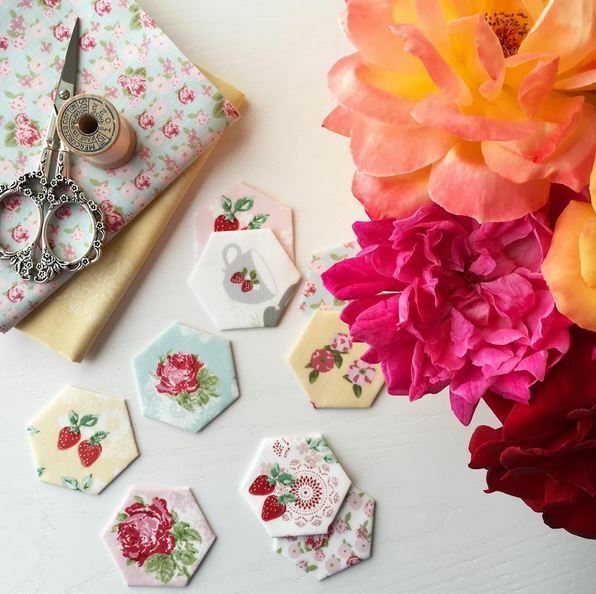 You can learn all about this technique from Minki’s new book, Sew Illustrated. I’m about to get myself a copy! 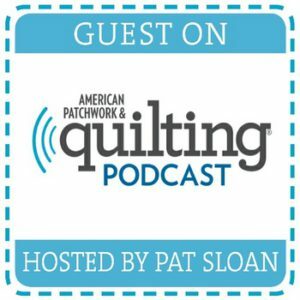 On 8/13, we had Rennee Lange of Sewn With Grace. 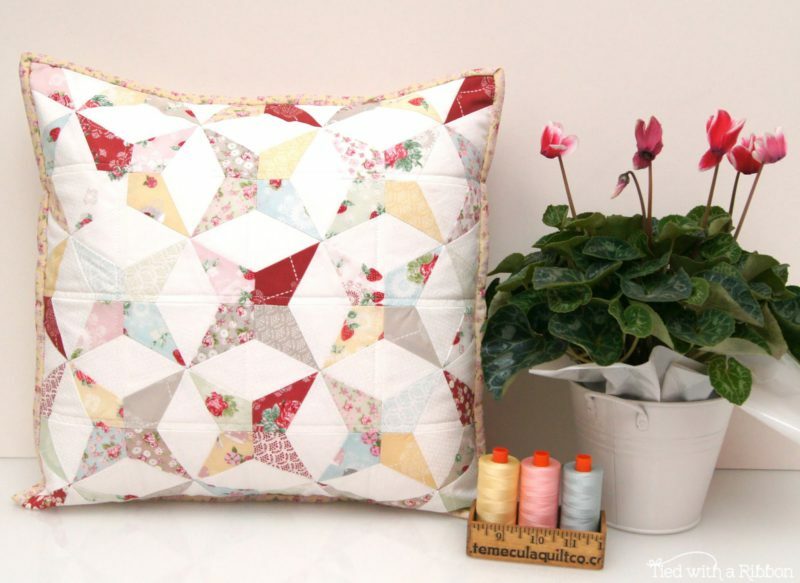 And made this absolutely stunning quilt out of them! 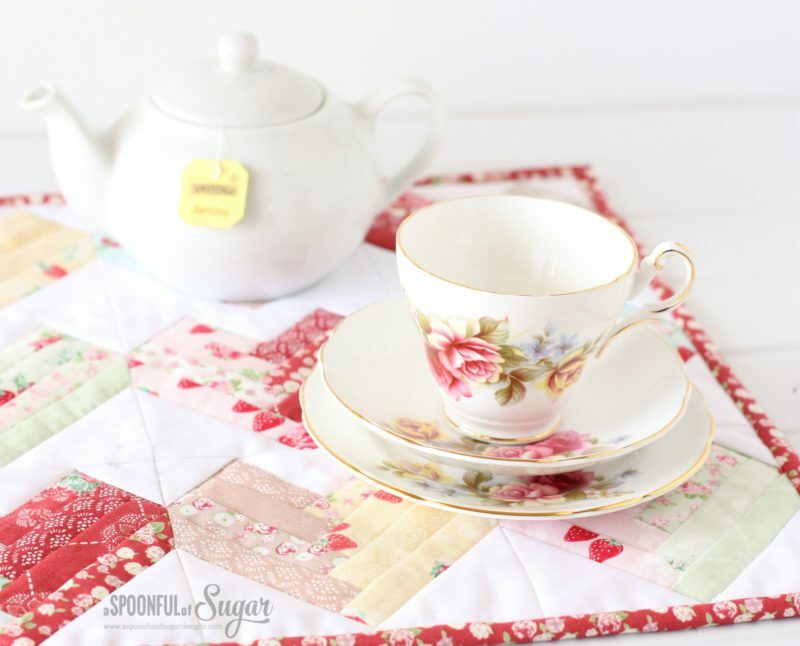 How fitting is this quilt for my High Tea collection?! 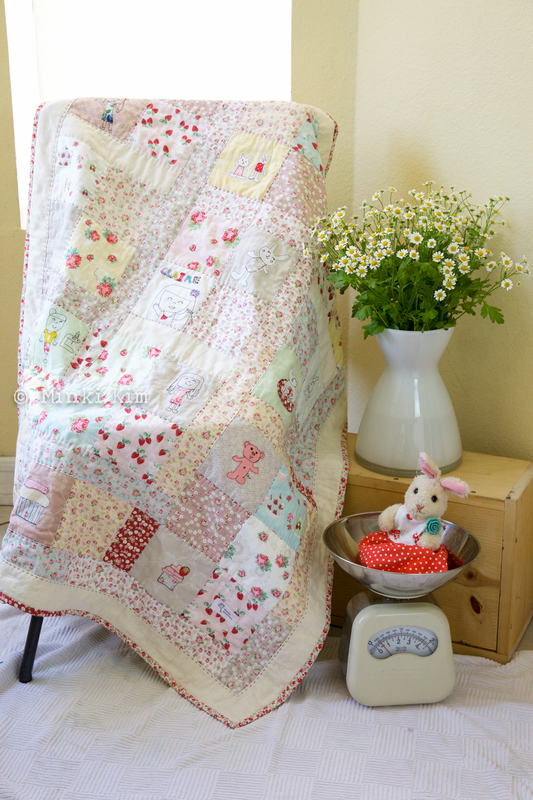 Please check out her blog for more details, including the pattern. And the perfection doesn’t end there. 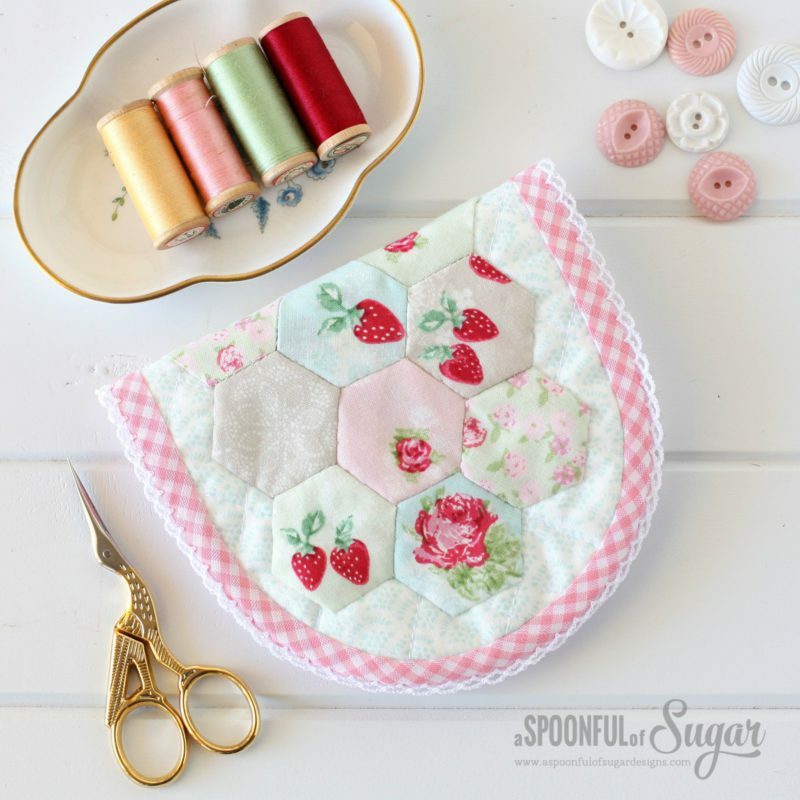 Lisa also made this adorable sewing kit made out of hexies. 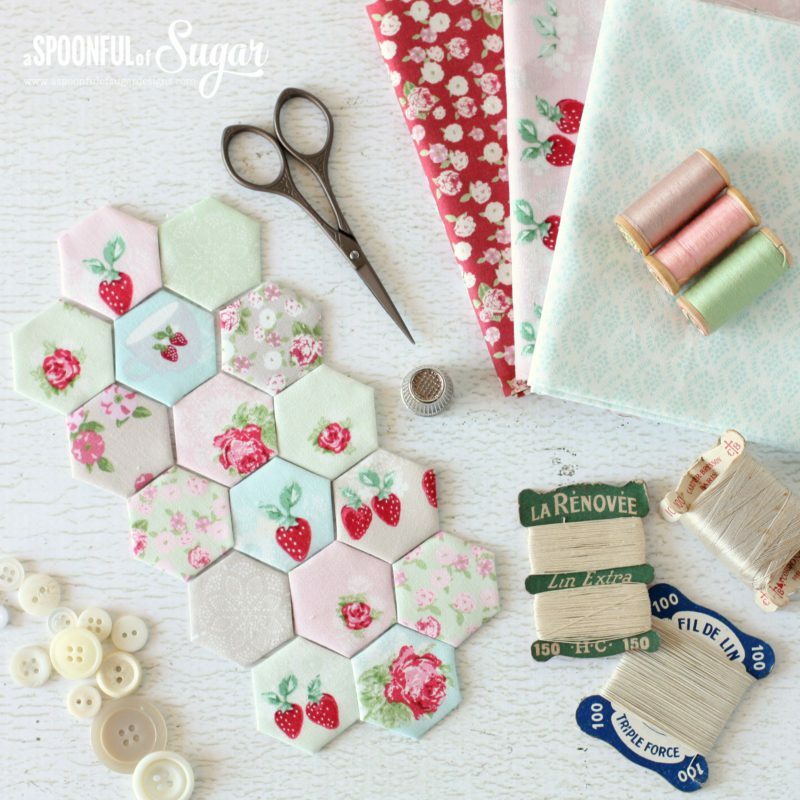 I am incredibly grateful and in awe to all the designers and crafters that made these lovely creations with my High Tea fabrics. I hope you enjoyed week 1’s recap. If you want to hop on board to the current tour, the schedule is below. 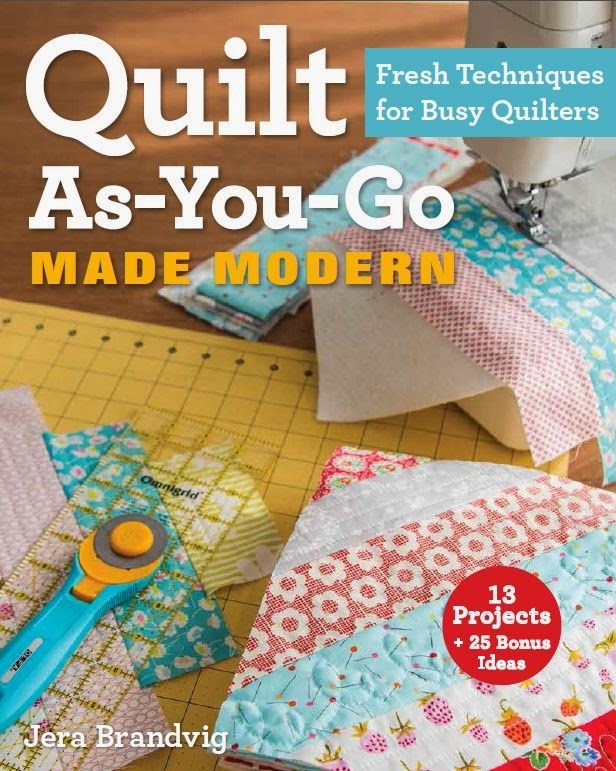 If you click HERE, there are links to all the blogs – or just follow me on instagram @quiltingintherain for a live feed. Thank you for joining me and all these lovely designers for High Tea! I plan to post week 2’s recap soon-ish, lol. That’s the best I can promise right now with it being the middle of Summer and trying to keep up with my kiddos. Until then! 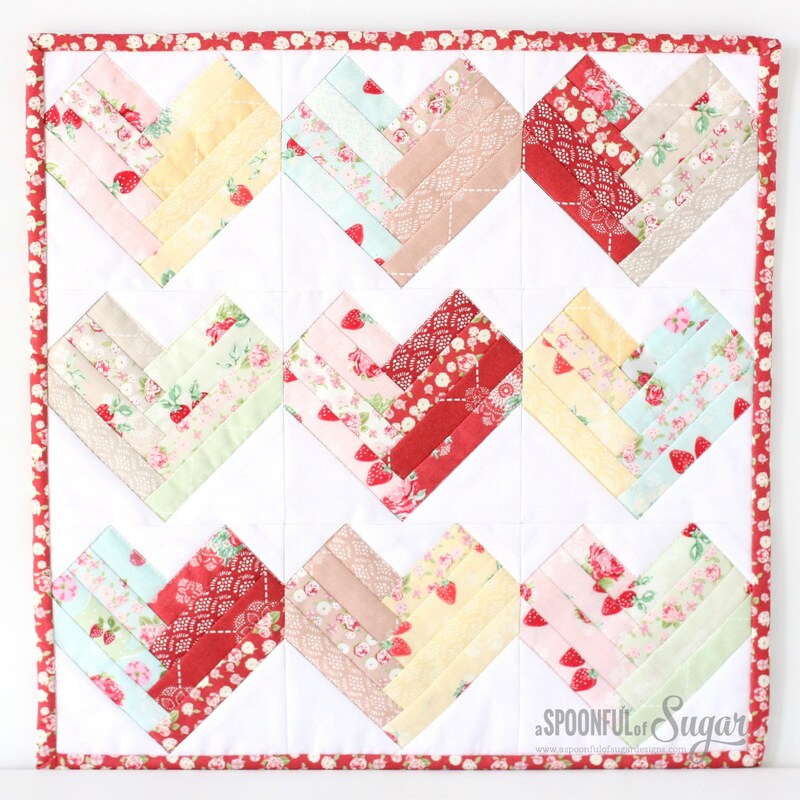 I just fell in love with your High Tea Collection. 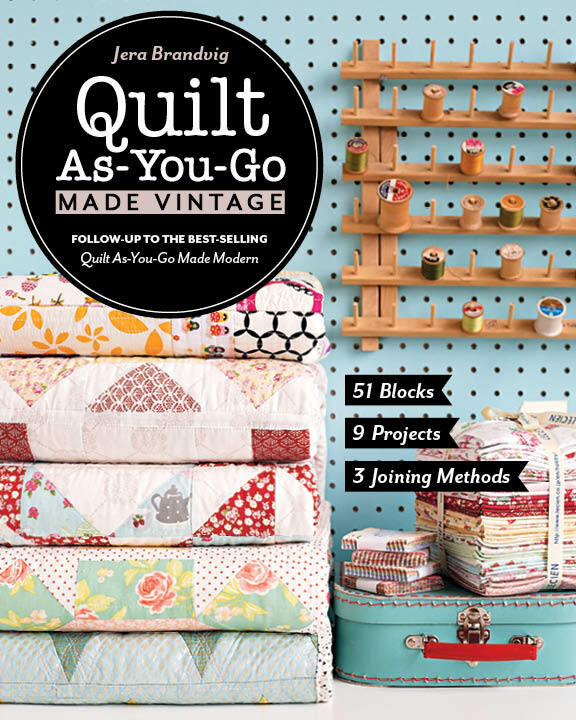 I designed a sampler quilt that I will be teaching at our local Adult ed class that will be using this collection. I can’t wait to start teaching it. 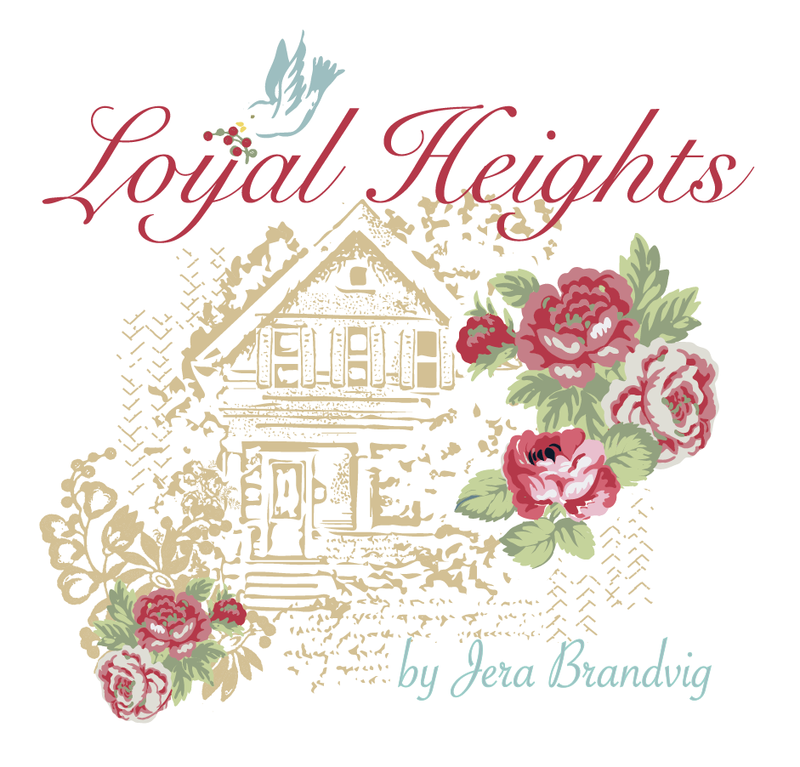 Oh Jera, this has been such a lovely blog hop. 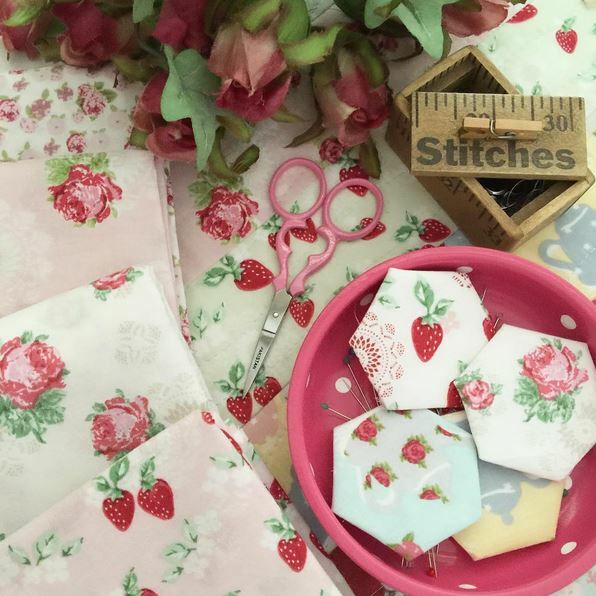 First off, your fabric is stunning. 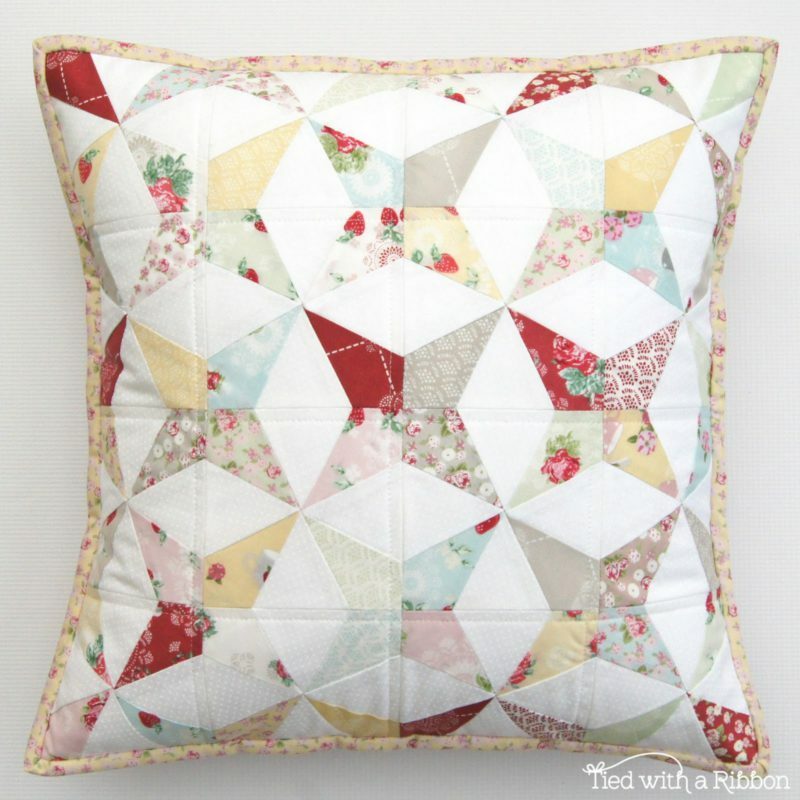 (I want, I want) and by doing this hop, I have found new blogs, and such refreshing creativity. 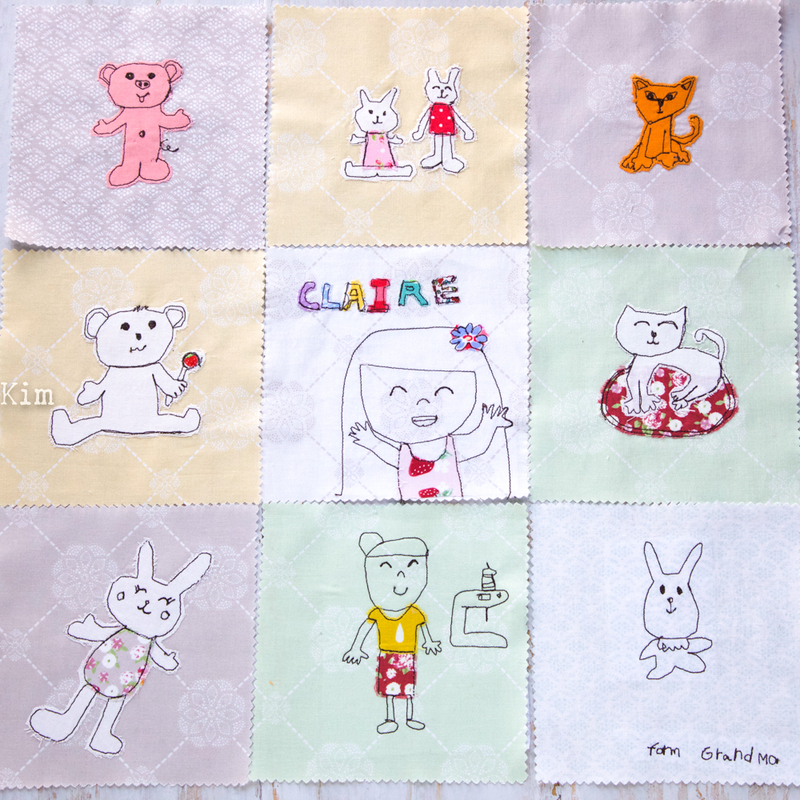 Thank you for providing these beautiful and creative people with your absolutely adorable fabric and share with all of us. 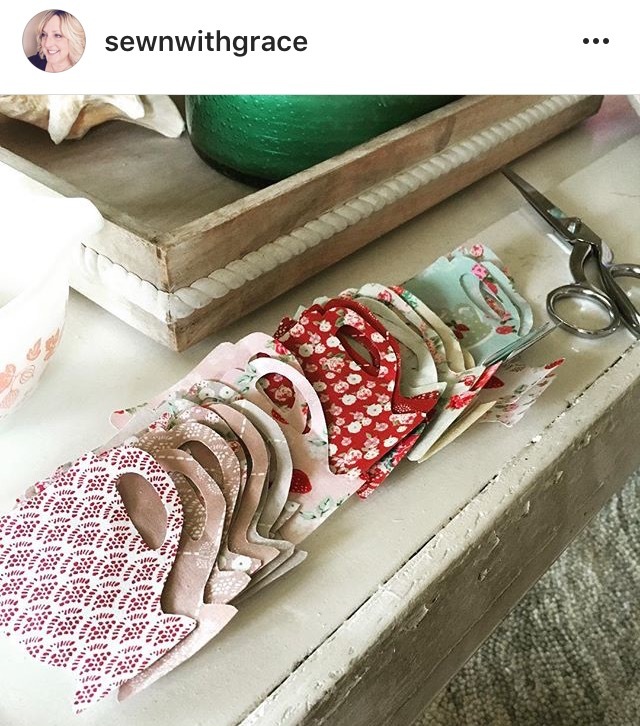 Thank you to the crafty people too. Every single one of the creations is STUNNING! 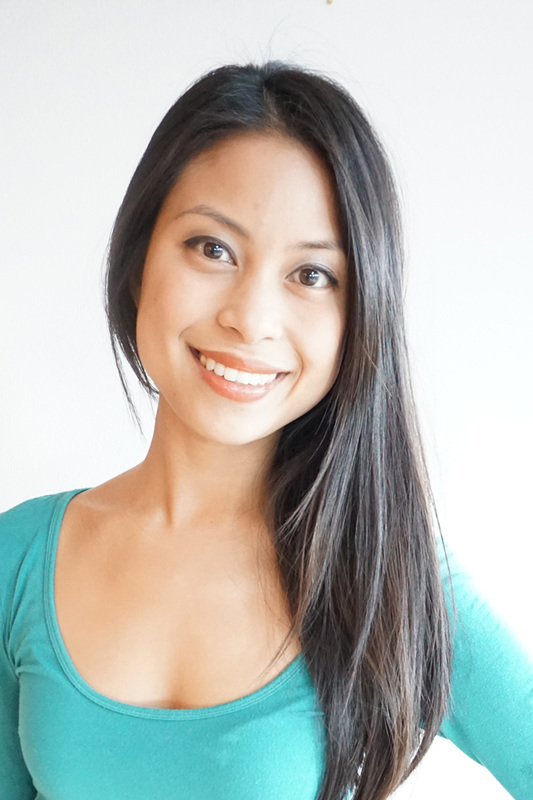 Thank you all for inspiring newbies like me with you talent! 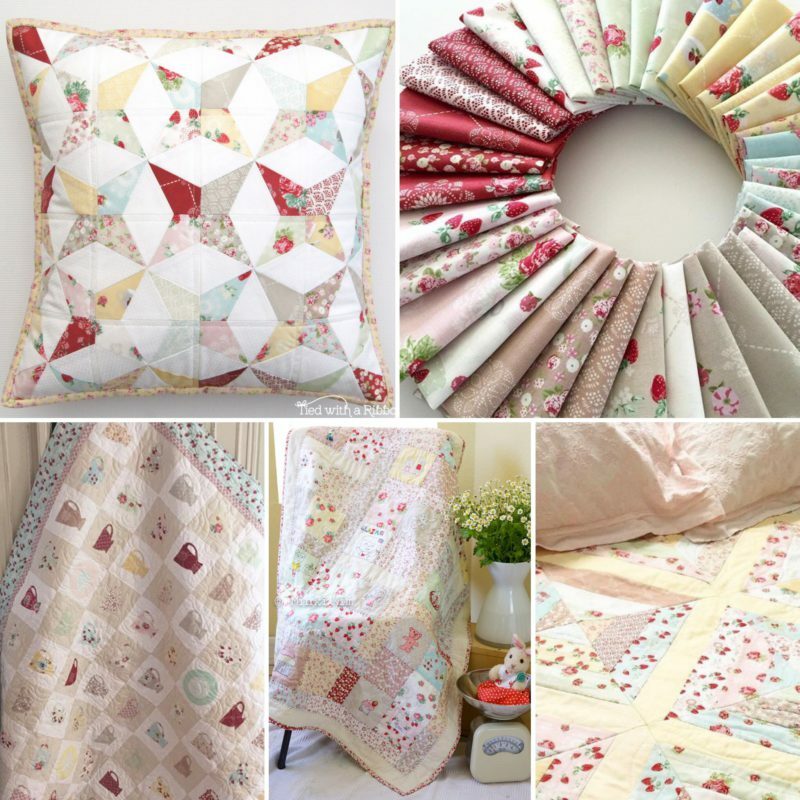 Beautiful work and gorgeous fabric line!